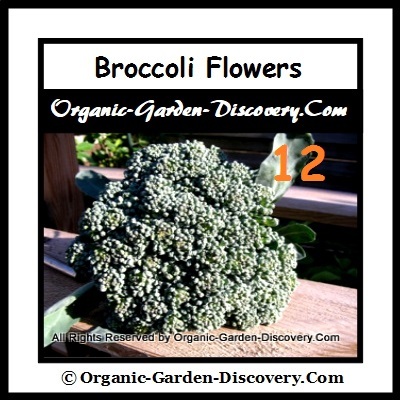 Growing Broccoli can invite fresh, sweet, tender and delicious flowers. I remembered those days when I was still in Singapore, we ate often those Asian cabbage, dark purple and white eggplants, big tomatoes, mung bean sprouts, red and green hot chillies, long-yard beans, green and red sweet peppers, choy sum; and all other hot climate vegetables. We hardly cook Broccoli and Cauliflowers. Since I came to this country, I have to learn to cook the cool weather vegetables. 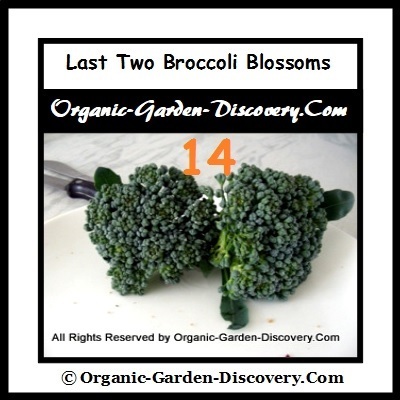 And Broccoli´s, Brussels Sprouts and Cauliflowers are some of my favourites. There are many different types of broccoli in the market. 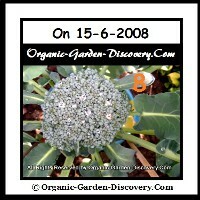 Most commonly seen are cream, purple, and green broccoli's. 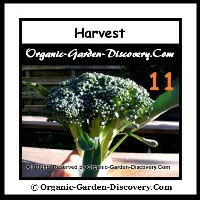 Green Comet broccoli is a dwarf plant. 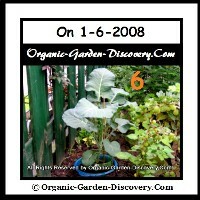 It is hardy and high tolerant to downy mildew. In other words, it is a diseases resistant plant. 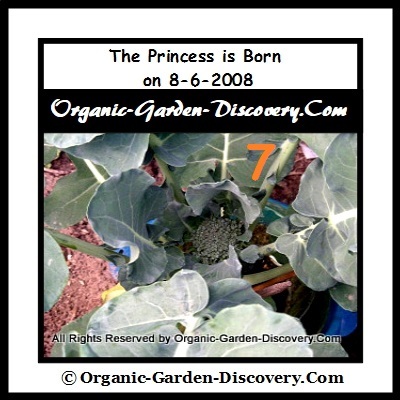 Planting broccoli is simple; it is just about the good timing, the right temperature and your endless patient. 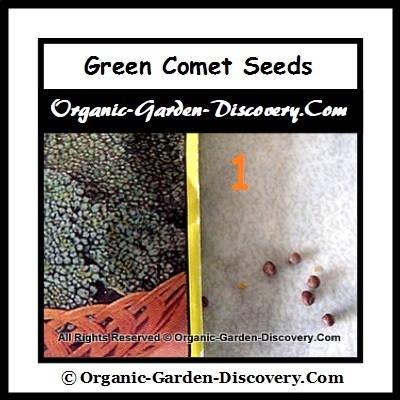 I received the seeds (above slid image 1) from my friends in October 2007. As usual I could not wait to grow them. 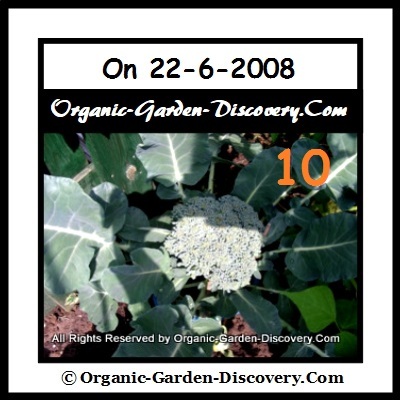 Those were the most exciting days because it was my first time in life growing organic broccoli; I did not know how it would turn up until I see it. I started with one seed in a little plastic tray in our small greenhouse. After one week, she was transplanted to her own kitchen vegetable drainage plastic basket tray with 2 inches of rich potting soil. 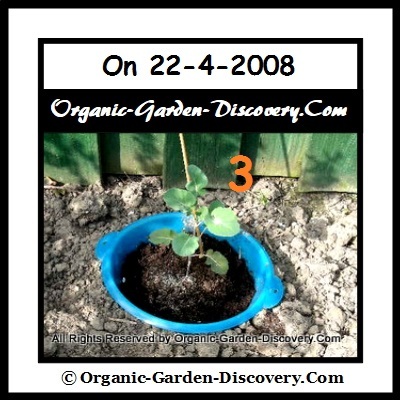 She was sitting with two outer pots; and covered partially with a transparent mini greenhouse lid; for the winter frost protection; and she was attached with 4 mini leaves (image 2). While she was in the green house, I dropped a little rain water on the ground when there was sunlight around; just enough to kept her alive. 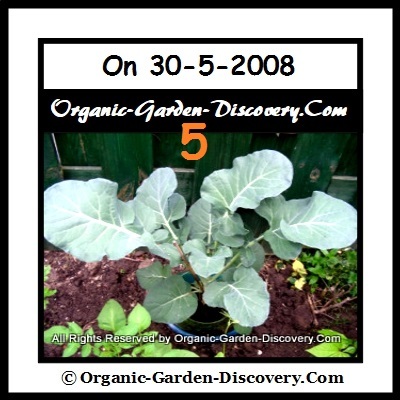 When the early Spring came and the soil was warm enough for plants, she was being transferred out to our spray free organic raised bed on 22-4-2008 (image 3). 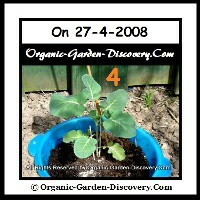 And five days after transferred; the leaves had slightly expanded (image 4). We preferred to grow all types of vegetables and fruits in the heat free; natural atmosphere with free flow of fresh cool air circulation; and good drainage home-made rich worm composted soil. I discovered that those troubles makers; like the slugs, snails, flying insects, and the white butterfly did not appeared; when we grew our foods in the early spring. Because the air was still cool and much rain; therefore the insects would not be interested. During the broccoli growth, we would earth-up whenever their roots are shown on surface of the ground; it would help to promote the healthy roots and plant growth. Especially useful for the cold and wet disturbance. Growing broccoli in a basket tray and set these together one to two inches below the ground level is; much easier to manage than growing it directly in the open ground. In this way, the container will help to hold the plant properly; it can block weeds; and the underground creatures attack . 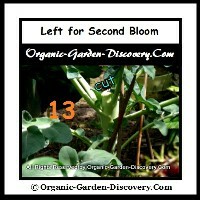 Moreover, it is best suitable for a small space garden. On the day 38 after transferred; all the leaves turned into adult size . The plant was growing taller; and the top would obviously be heavy; the plant called for its first supporting and balancing bamboo stick (image 5); and she stand right-up (image 6). When the plant feel secured; it would be happy to put all its efforts into the development of your wanted charming edible flowers. 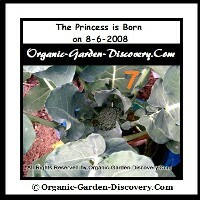 On the day 47 after transplant; the first princess was born (image 7). 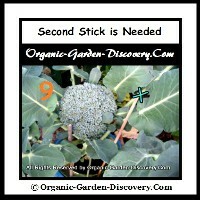 In one week time the flower head had already been enlarged (image 8); and requested for the second stick (image 9). In another 7 days; the blossoms were great for harvest (image 10). 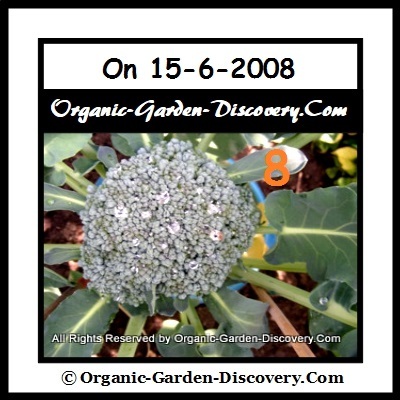 Harvest broccoli when the little flower buds are not open and still green. You can cut (image 13) the center green flower bud cluster together with partial of the stem, which should be one to two inches below the flower. After the first harvest, you can carry on with the regular rain water feeding; the second or third cluster may be harvested later. We had one medium sized broccoli (image 11&12) and two smaller broccoli's (image 14) in total. 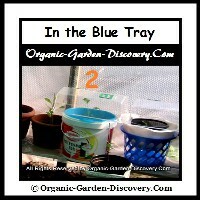 The best enjoyment is to cook your home grown organic vegetables right from your own grow bed. Try growing broccoli greens in your coming most exciting greenhouse project?